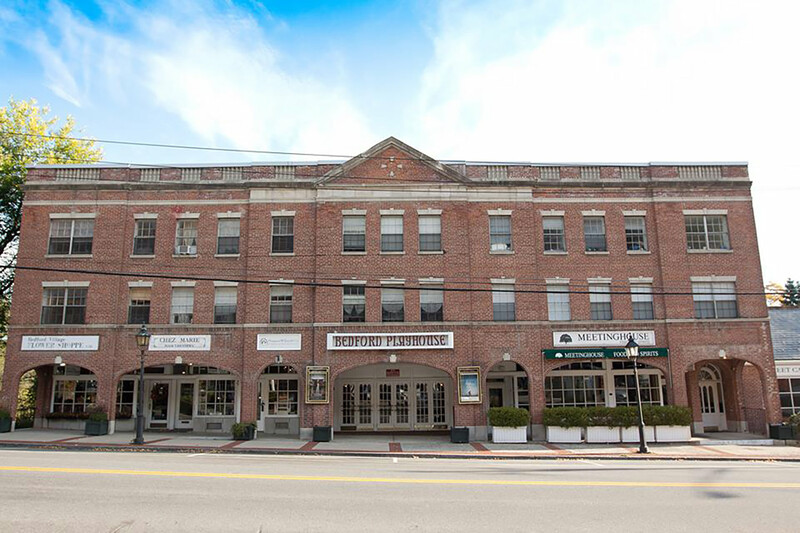 The Bedford Playhouse / Clive Davis Arts Center is a classic movie theater circa (1947), now in the final stages of a total renovation as a not-for-profit cinema / community hub. 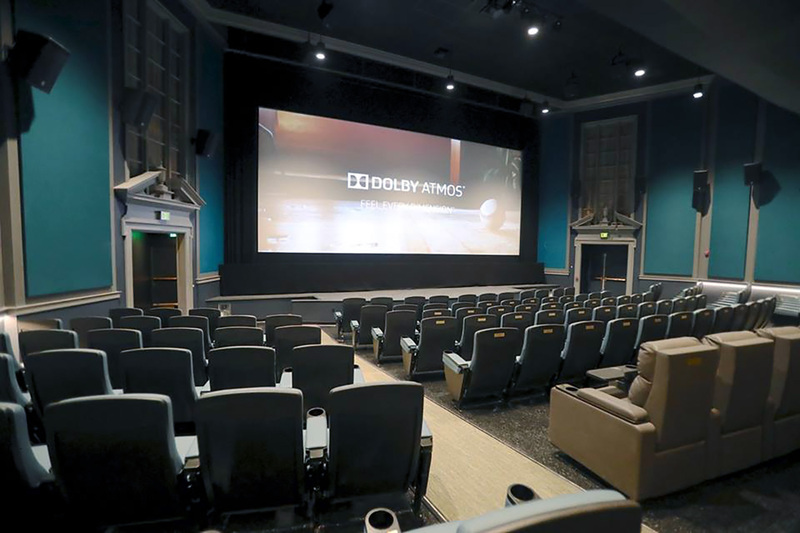 The complex features five distinct attractions: (1) The main theater, a 176 seat, state-of-the-art space outfitted with a large 37’ x 16’ projection screen and Dolby Atmos film sound system, will present high quality first run indie, foreign and documentary films. 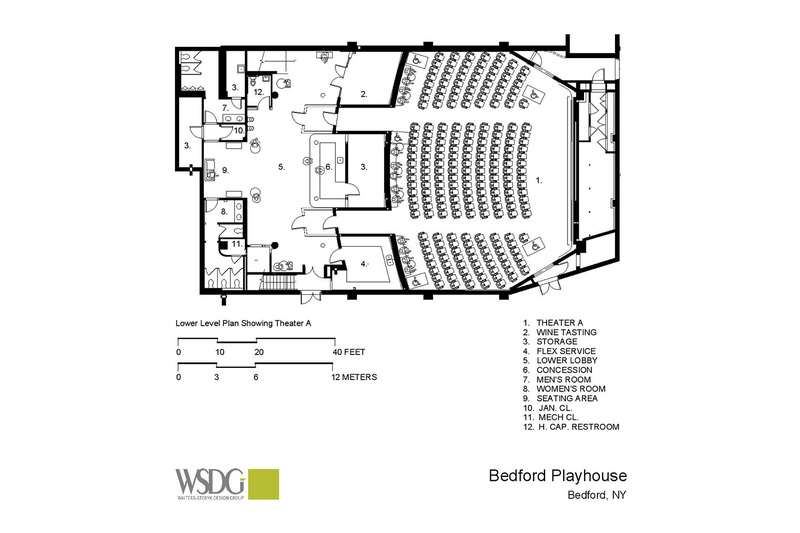 (2) The 40 seat Clive Davis Theater and (3), the 32-seat David Worby Theater will serve as a “jewel box” venues for private screenings, educational, civic and private cultural events including small concerts. (4) The Playhouse Café for drinks and light dining, and (5) an expansive Concessions Area. WSDG is providing complete acoustic and A/V design and consultation for the complex. 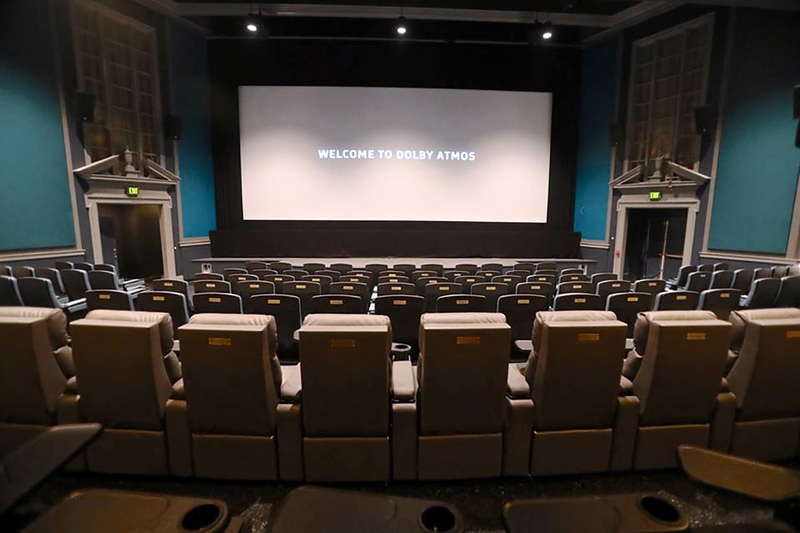 Outfitted with plush seating, world-class video projectors, Dolby Atmos DSP (in theaters 1 & 2), top-flight speaker systems, microperforated vinyl screens, motorized vertical and horizontal masking, and adjustable acoustic curtains, the theaters will have low reverberation with curtains drawn, and higher reverberation when open. These variable acoustic options will accommodate diverse screening requirements and equally varied source material including DVD, BluRay, Flash Drives, HDDs and SSDs. They will also present video feeds from live TV, Internet and new media sources. 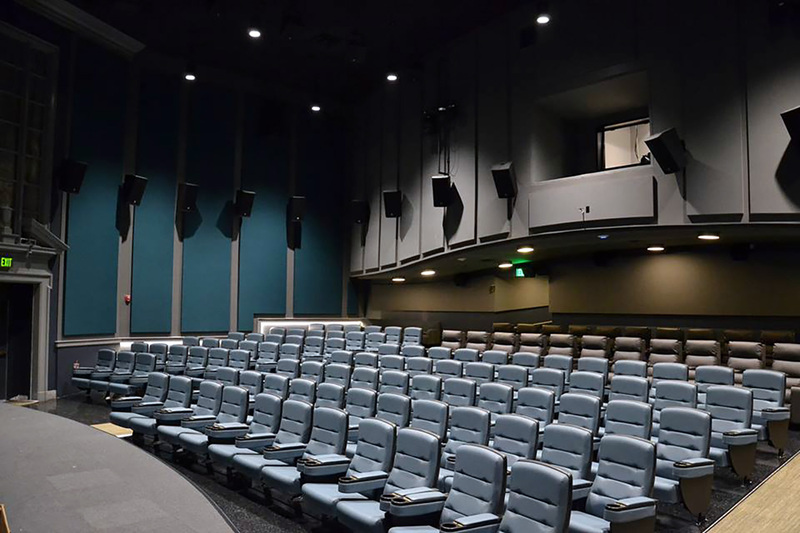 Theater C will serve as a ‘multipurpose’ room for live events ranging from lectures, receptions and exhibits to small performances and parties. 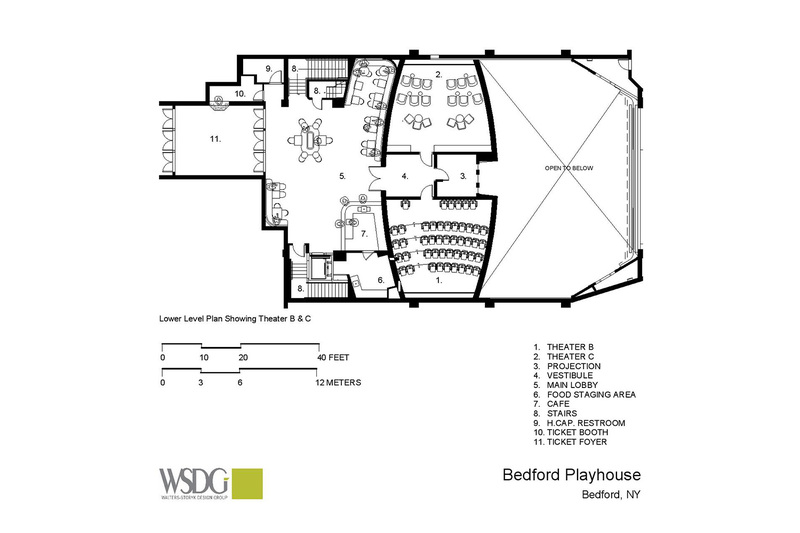 At first glance, The Bedford Playhouse may appear to be a cinema and arts center in the classic mold, but beneath the floors and within its walls, and ceilings, its operating systems are thoroughly state-of-the-art. Floating floors, and acoustic isolation between walls will block sound leakage between the theaters. A password protected, tablet-based system assures user-friendly control of all lighting, sound, HVAC, and related systems. The Lobby area will employ ceiling speakers for distributed background music and public address. Five LCD screens will display messaging, and programming previews. This cool, inviting theater / community arts center looms as an important addition to the local community.